When I was a little girl I spent 90% of my time with my grandparents, so it goes without saying that I believed that both my Granny and Grandfather were made of something magical that would allow them immortality. But at nearly thirty years old I have come to the harsh realization that life does not last forever. At the age of 75 my Granny was diagnosed with stage 4 Uterine Cancer, just short of six months after diagnosis she lost her battle. This is HERStory. I remember today, as if it happened yesterday; receiving a phone call from my aunt saying , “Mama is being transported to the Barnes, they think she has cancer.” It was almost as if in that moment the world stopped and all I could hear was the word “cancer”. On August 23, 2014 around 5:30 pm I was told that my grandmother [Granny],Jamesetta “Tootie” Williams had been diagnosed in an emergency room with cancer of the stomach lining, she was immediately transported to the 17th floor of Barnes Jewish Hospital in St. Louis, Missouri; it wasn’t until later I would come to the realization that the 17th floor of BJH wasn’t the “cancer” floor it was the gynecological cancer unit. That night we were greeted by one of St. Louis’ most prestigious and respected gynecological oncologists and his team to explain the extent of my Granny’s condition. We would sit there listening as he threw out medical term after medical term explaining that the cancer was in the lining of her stomach, however it’s source was in the uterus and it was in fact stage 4. Ever the hopeful faith driven family we had faith in the physician and his staff. In all my years I could only ever remember by grandmother being sick or in the hospital a handful of times, but she always bounced back. I prayed that this time would be no different. I remember when I was little getting my hair combed by my Grandmother. On September 11th, 2014 my Granny underwent surgery in hopes that a complete hysterectomy would remove the root of the cancer allowing chemotherapy to kill the remaining cells. Along with surgery came complications that did not allow surgeons to remove all of the cancer; but they removed what they could without causing more damage. The long road ahead was just that, chemotherapy was not all [she] hoped it would be. [ I’m not really sure you hope for much with chemotherapy, but my Grandmother’s experience was a very difficult one.] During her initial treatment she suffered what we believed was a stroke but it was just an allergic reaction to the drugs, which meant the doctors had to switch her medications. My Granny spent the next few months in and out of the hospital and in inpatient rehabilitation facilities, all the while still with hopes of soon being cancer free.There were of course good days and bad days, but even on bad days her spirits were high. No matter how sick she was she was still a class act, her nails were always painted, make-up flawless and her head wraps were top of the line. Her strength during her ordeal was inspiring; her grim prognosis never kept her from believing in the healing power or the love of GOD. For nearly a year and half before being diagnosed by Grandmother visited her doctor several times with complaints of pain in her lower abdomen, and every time he told her she was fine. She knew all along that she was not fine, but believed her doctor knew what he was talking about. My grandmother’s cancer began in her uterus and spread, which means she had it for quite some time before it was found. At the age of 75, she was not getting regular pap smears which quite possibly could have saved her life. We as women are told that we should get well women visits yearly and that after a certain age we are to get mammograms to screen for breast cancer. When we think of cancer and women our minds immediately focus in on breast cancer, but the ugly truth is that our reproductive organs are at risk also. More and more women are being diagnose d with uterine, ovarian and other forms of Endometrial cancer each day. Each day as I learn to live without my grandmother I wonder if she had just visited her gynecologist once within that year and half would she still be here. As women we have to be accountable for not only ourselves but each other. Ask your mom, grandmother or aunt when was the last time she had a pap smear. We can’t be afraid to ask the difficult questions that could save a life. I’m sure I will get backlash from family members for sharing this intimate story, but my Granny’s story is MY story also; women who have a family history of cancer are three times more likely to also have cancer. I will never forget the strength my Granny exhibited through her ordeal; she fought until she took her very last breath and was beautiful every step of the way. It is because of her I am able to share this story as well as be a beacon of hope for women like her. 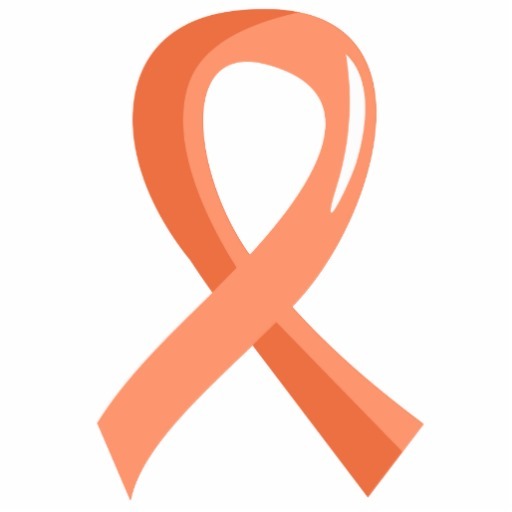 If you or someone you love is suffering from gynecological cancer I encourage you to stay strong, faith bound and involved in your care. “Be Brave” Losing my beloved has been one of my greatest tests, but I realize now that, that immortality I so innocently believed she possessed lives on through me; and if I can help save one life by telling HERstory then I have honored her legacy.